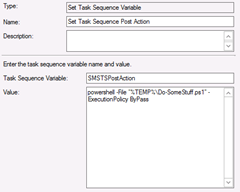 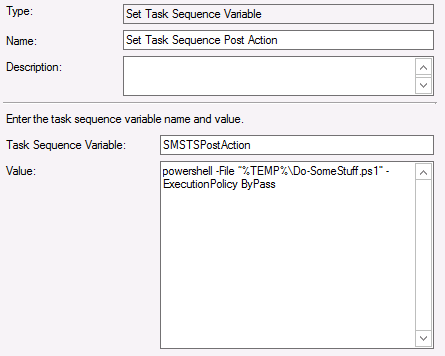 ​With Service Pack 1 for SCCM 2012, Microsoft introduced a few new task sequence variables. 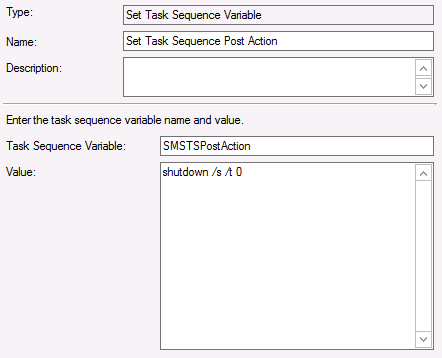 The one in the spotlight for this post is: SMSTSPostAction. 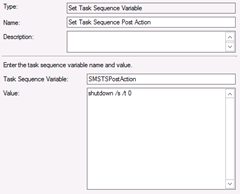 ← SCCM 2012 SP1 CU2 released!